I am a demographic threat. I am a demographic threat; I am the son, grandson and father of demographic threats; and I am the husband of demographic spillover. I am a Palestinian citizen of Israel, and this is the language that the State of Israel, its leaders and its elites have sanctioned within their discourse to refer to me and to millions of other human beings. And once you have defined a threat, what action is there to take other than to attack it, marginalize it, contain it or eliminate it? It is refreshing to see that so many are appalled at the rhetoric Benjamin Netanyahu used in Israel on election day, when he mobilized ultra-right-wing voters by saying “right-wing rule is in danger” because “Arab voters are streaming in huge quantities to the polling stations.” Some have likened it to the “Southern Strategy” in the United States, when the Republican Party appealed to racism among white Southerners in the late 1960s to draw them away from a Democratic Party that had come out in support of civil rights. But Netanyahu’s language was not just an electioneering tactic. Indeed, as Palestinians—whether citizens of Israel, residents of Jerusalem or those living under occupation in the West Bank and Gaza or in refugee camps or in the diaspora—know, this demographic fear-mongering is rooted in the foundation of the Zionist project in Palestine. The origin and maintenance of Zionism has relied on demographic engineering to ensure that political power remains in the hands of one ethno-religious group, Israeli Jews. This isn’t about an election tactic; this is about Zionism itself. This is why a Jew from anywhere in the world can come to Israel and live in the house of Palestinian refugees who are barred from returning precisely because they’re of the wrong ethnicity and religion. This is why Palestinian citizens of Israel like myself are not permitted to reside in Israel with their spouse if their spouse is a Palestinian citizen of the West Bank. Politicians like Netanyahu pushed for such laws to prevent what they call “demographic spillover.” This is why the birth rate among Palestinians in Israel is a topic of worried political discussion there. And, perhaps most important, this is why 4.5 million Palestinians living under Israeli rule are not permitted to vote for the government that rules over them because, as Israeli leaders have repeatedly said, permitting them to vote would challenge the Jewish monopoly on power. In Israel, both the so-called left and the right are happy to deploy the fear-mongering demographic argument to advance their political aims. Liberal Zionists continue to preach that Israel must follow the course they favor in negotiations with the Palestinian Authority (to partition the land so that millions of Palestinians would no longer be under Israeli control) because of the demographic threat that Palestinians in the territories would present to Zionism if the occupation becomes permanent. 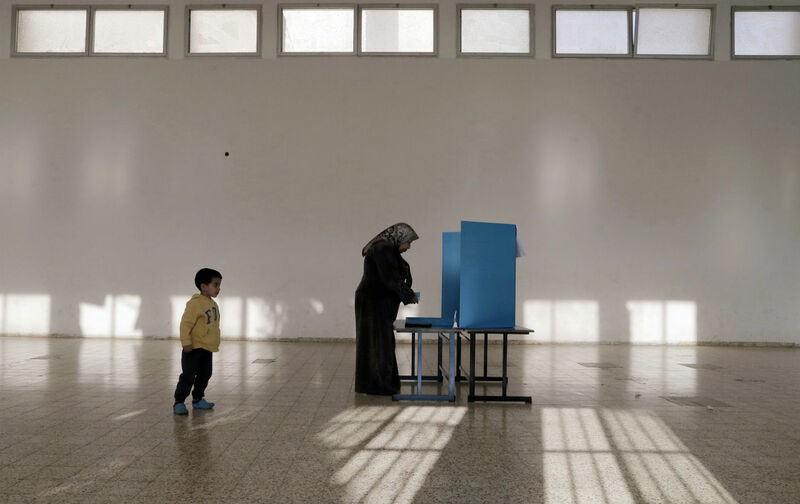 On the right, politicians use the demographic threat allegedly posed not only by Palestinians in the West Bank and Gaza but also by Palestinian citizens of Israel; they do it to drive Jewish voters to the polls and to create an aura of fear that supports their hawkish interests. Some have moved to attack Palestinians for commemorating the Nakba and to force them to swear loyalty to a Jewish state, and have even called for their “transfer.” Where the right and the left differ is not so much on whether there are too many Palestinians, but rather what number constitutes too many and on how best to gerrymander the borders of Israel to take the most Palestinian geography with the least Palestinian demography. Through the eyes of a demographic threat—namely, me and my fellow Palestinians—the problem looks very different, especially since we had never been characterized in such terms before the Zionist project began. What I see is not a demographic problem but a Zionism problem, one that seeks to do the impossible—to impose and maintain an oppressive system at the expense of the majority of the native inhabitants of the land while simultaneously claiming the mantle of liberal democratic values. So while Netanyahu’s comments at the polls should be condemned as racist fear-mongering, we should know that this fear-mongering is far deeper and more central to Israel than any of its individual political parties. Anyone advancing the notion that people of one ethnicity, religion or race pose a threat merely because of their background and by virtue of their existence is advancing the same fear-mongering discourse Netanyahu chose to amplify. Just because it’s done to advance a different political objective does not make it any less pernicious. Motivating people through fear—especially demographic fear—will not lead to anything good. What is needed instead is to tackle head-on the paradox that Zionism introduced to Palestine and challenge the systems and institutions it has created that support inequality.